I figured it would be a good time to give a bit of an update, and share a couple more photos. 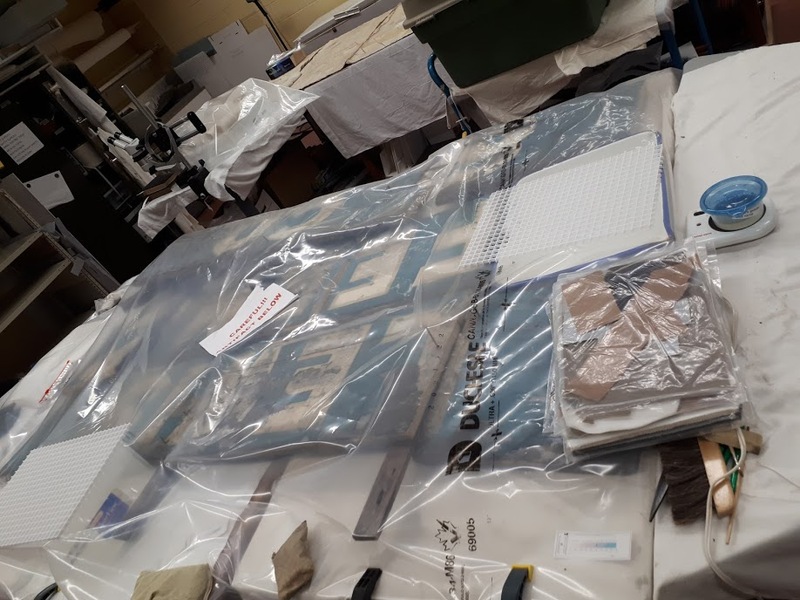 It might not look like much at the moment, but this is the first part of the restoration project underway at The Rooms by their talented conservators. Here, the sign has been tented with plastic and rehydration is taking place to allow the paint to relax so that it can be reattached. Thanks to Maureen Peters for sharing the photo with us. 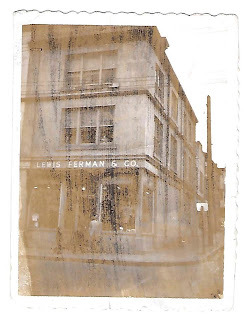 Next up, an old photo, sent to us by grandson Michael Ferman. 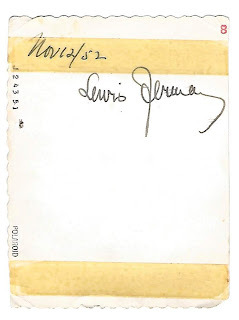 He writes, "While the image quality is poor, the photo clearly shows the original sign, and I would suspect it is most likely Lewis Ferman in the photo due to his signature of the back." 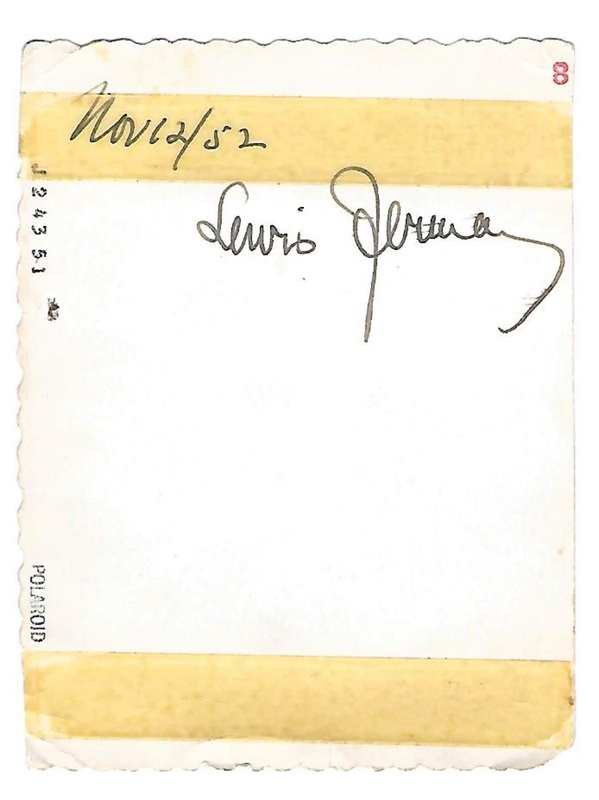 Lastly, something of a treat! Here is a photo that comes to us from Brenda Simms Flood. 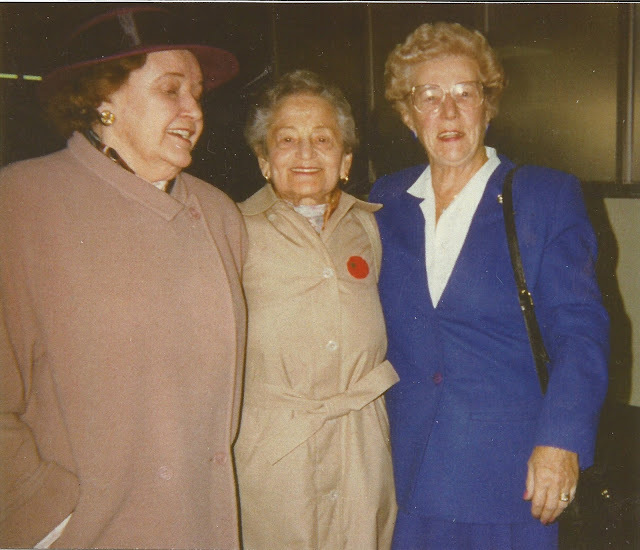 Left to right, the photo shows her mother, Joan Simms; Lewis's wife Grunia Ferman, and Doris Snelgrove. All these ladies were neighbours here in St. John's, and the photo was take at St. John's airport, 1995, after Grunia received her honorary doctorate from MUN at the Fall Convocation: three friends who were Protestant, Jewish, and Roman Catholic. 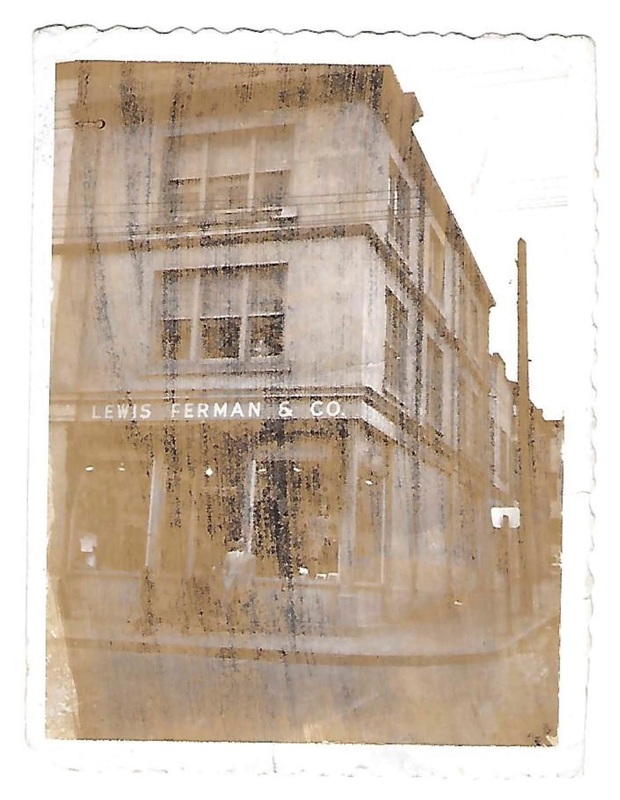 I'm still collecting memories and photographs, so if you have something to share about the Fermans, or about any of the other Jewish merchants in St. John's or throughout the province, you can get in touch with me via email at dale@heritagenl.ca or phone 1-888-739-1892 x2.